The Medicare Crisis is Coming – How Can We Prepare? 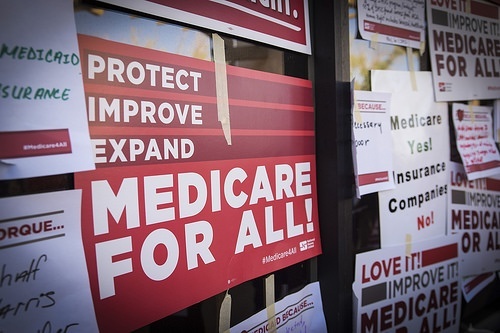 Home › Health Insurance › The Medicare Crisis is Coming – How Can We Prepare? The Summary of the 2018 Annual Reports on the fiscal state of the Social Security and Medicare programs is out. It contains significant news, most of it bad. It turns out – surprise – the long expected Medicare crisis is coming sooner than we were led to believe. It’s not going to wait until everyone alive today is safely dead and buried, but within the next few years. And it might even hit sooner than that. Don’t think it doesn’t apply to you because you’re years away from needing it. It will affect the entire population, even young people. If you’re not familiar with the Summary of the Annual Reports, it’s a statement of financial condition issued each year by the Social Security Administration. It reports the state of both revenues and expenditures for Social Security and Medicare. It also tracks the size and projected direction of the various trust funds set up for both plans back in the early 1980s. The trust funds are considered critical because expenditures are growing faster than revenues. The trust funds are expected to make up the difference. But those funds are depleting quickly, and much faster than we were originally led to believe. Both Social Security and Medicare will experience cost growth substantially in excess of GDP growth through the mid-2030s. The Social Security trust funds will be depleted by 2034. The cost of the program is projected to exceed total income, including interest, in 2018 for the first time since the trust fund began in 1982. Medicare has two trust funds, one for Hospital Insurance (HI), and one for Supplementary Medical Insurance (SMI), which is for Medicare Part A for other medical services. The Medicare HI fund will be depleted by 2026 – three years earlier than the 2017 report projected. The three-year reduction in the depletion projection is attributed to lower payroll taxes from lower wages for 2017 and lower levels of projected GDP, and higher HI expenditures than anticipated. The SMI trust fund is expected to remain adequately financed into the indefinite future. Total Medicare costs will grow from 3.7% of GDP in 2017, to 5.8% by 2038 which will be nearly equal to the 6.1% for Social Security. Once the HI trust fund is depleted in 2026, projected revenues are expected to cover 91% of projected program costs. As bad as those projections look, there’s every reason to believe the situation is even worse. It’s reasonable to assume a Medicare crisis will hit before 2026. Recession. The Annual Reports don’t reveal their economic assumptions, but we can assume they’re based on continued economic growth. Considering the last recession ended (theoretically) in 2009, we’ve gone nine years without a downturn. That’s very unlikely to continue much longer. A recession will result in higher unemployment, lower tax revenues, and a faster drain down Medicare trust funds. Exploding health care costs. Rapid growth in healthcare costs have become as normal as air and water. The Kaiser Family Foundation reports healthcare costs have grown by an average annual rate of 4.9% between 1991 in 2014. I didn’t find an assumed rate of healthcare cost inflation in the report, but you can rest assured it’s lower than 4.9%. Rising federal deficits. One of the dirty little secrets of the federal budget process is that the annual federal budget deficit is reduced by surplus revenues from Social Security and Medicare. The Annual Reports disclose that as trust funds are sold to cover the cost of the two programs, the federal budget deficit will increase disproportionately. It will have implications for the economy, mostly negative. Political paralysis. Politicians don’t want to touch Medicare, or even speak of it publicly – other than to assure everyone that all is well. They won’t tell us the plan is unworkable. They’ll continue to get away with that until the Medicare trust fund is gone. Given the above factors, and the acceleration of the trust fund depletion by three years in the 2018 report, it’s reasonable to assume that future Annual Reports will move the day of reckoning even closer. However, they also warn that unless action is taken immediately, any attempts to fix the problem will be more severe. No politician wants to author a bill that will increase taxes, cut benefits, or both. The only possible time that might happen is when the crisis becomes obvious. When politicians do finally take action, they usually come down on the side of increasing taxes. But since the crisis will likely occur with a recession, raising taxes could actually make the situation worse. And the bigger issue – the one that dooms all healthcare reform efforts – is a complete lack of cost containment. If the solution is only to raise taxes, it’ll just be a question of time before the healthcare cost spiral will overwhelm those increases. Politicians either don’t get, or won’t admit, the magnitude of the overall healthcare problem in America. Until they do, there can’t be a political solution. Just as is the case with Social Security, there’s a belief in many quarters that the looming Medicare crisis is a problem all by itself. It isn’t. It’s part of a much bigger general healthcare crisis that’s affecting the entire country, not just retirees. For example, in 2016 my family and my wife’s employer paid over $21,000 for health insurance premiums. We also had thousands of dollars in deductibles and co-pays. In 2017, my wife lost her job, and we went on COBRA. The premiums were $1,875 per month – well above our house payment. Our situation is hardly unique. Five years after the onset of the Affordable Care Act, 15.5% of working age Americans (ages 19 to 64) don’t have health insurance. That’s up from 12.7% in 2016. When a recession hits, those numbers will skyrocket. After all, if you lose your job, you’ll almost certainly lose your health insurance. Especially with something like a COBRA payment of almost $2,000 per month. The only question is will the Medicare crisis trigger a general healthcare crisis, or will it be the result of it? It’s all part of the same problem. The same runaway costs that are affecting Medicare are also overwhelming everyone else. Compounding the problem is that there’s no public groundswell to demand political action. But with healthcare eating up 18% of the economy, and projected to approach 20% by 2026, cost is clearly the problem, not a lack of funding. The reality of healthcare in America is that no amount of funding will ever be enough. Perhaps because the healthcare situation is so enormous, and the options so limited, we all prefer to ignore it. Or maybe we assume a miracle will occur, and the political establishment will come up with a truly workable solution. But if we’re concerned enough to take action, exactly what kind of action would that be? Take whatever steps needed to improve or maintain your health. The likelihood of a partial or complete breakdown in the healthcare system is great enough that we should assume there may be a time without health insurance sometime in each of our futures. Look into Christian health sharing ministries (if you’re eligible). They’re not true health insurance, but they provide similar benefits at much lower cost. One worth checking out is MediShare, which also has a Medicare supplement. I’m thinking these sharing ministries may expand beyond faith groups to the general population, representing a ground-level solution to an intractable problem. As the situation continues to get worse, do what you must to maintain group insurance. For example, look into part-time jobs with health insurance. My family had that for nearly 3 years. Keep your eyes and ears open for new developments. The government may be incapable of action on this crisis, but when pushed hard enough, people usually find successful workarounds. Once a recession hits, circumstances may begin to change quickly. It seems clear we’ve past the point of “peak healthcare”, and an unraveling is coming. Healthcare has turned into a full-blown bubble, much like the stock and real estate markets do. The crisis phase of a Medicare/general healthcare collapse will be ugly, but the problem can only be fixed through collapse. That’s not an insane idea either. When systems become as bloated as healthcare is, they’re beyond repair. The only possible hope for true reform comes from crisis. It’s a process known as creative destruction. Widespread health insurance, Medicare and Medicaid serve to increase the price spiral. They do that by lowering the cost of services to the population, which drives demand higher. A good parallel is the way mortgages with 0% down payments, no income verification and acceptance of bad credit fueled the housing boom of the early 2000’s, that led to the Financial Meltdown. The cost spiral in healthcare will only be broken when the funding mechanism melts down. That’ll be a painful transition to be sure, but an absolutely necessary one. Current levels of healthcare spending can’t be sustained, let alone where they’re projected to go. A collapse of the funding mechanism and the price structure will force a reset on the entire industry. A period of crisis will be followed by reinstitution of various insurance systems. They may look a lot like what we have now, or they may be completely different – like health sharing ministries. Once we get through the adjustment phase, healthcare is likely to become more affordable. It will never be cheap, due to the technology and expertise involved. But it can and should be cheaper than it is now. Have you been following this Medicare story? Where do you think healthcare in general is heading? And how can we prepare? 17 Responses to The Medicare Crisis is Coming – How Can We Prepare? This is a big concern for all of us thinking about ER. Thank you for detailing the issues. It doesn’t look good. Thanks Chris. But I think the takeaway is that we need to be prepared for a different future, and do what we can to line up alternatives now. Become obssessed with your health. Cancer now strikes 1 of 2 men; 1 of 3 females. Our current system is only focused on procedures, drugs and surgery which makes care overly complex and brutally expensive. But you can do it yourself by akalizing your diet, detoxifing your body and regenerating unhealthy tissue with herbs, nature’s own medicinals. Google it. The average age of disease diagnosis is 62 so do it NOW. Hi Jeanne – The Medicare report was scary enough, but that cancer information is much scarier. It certainly takes away the “option” to go without coverage, which a lot of people are doing. I’ll have to look into the diet changes. I’m increasingly aware that diet is the source of a lot of health issues. Exercise helps, but you can’t exercise away a toxic diet, especially when a lot of foods have toxic substances in them, or an over-abundance of sugar or salt. I’ve been cutting way back on salt of late, and it’s made me aware how much salt there is in almost everything. It’s so common you don’t realize it until you cut back, then it becomes obvious how much our food is over-salted. So lining up alternatives for health insurance in ER if medicare/medicaid and Obamacare go under…. that sounds like a great idea. Let’s look in the wheelhouse shall we? We can exercise regularly and that could help with the out of pockets. Unfortunately it doesn’t have any effect on premiums. Ministry sharing could help but you have to take the leap and quit your job first. However one serious issue and a denial could cause some major issues.After reading these predictions I’m hesitant to do that. As far as part time jobs for healthcare…most employers don’t cover until 30 hours which is pretty close to not ER. Am I missing a good solid solution other then banking another half million to cover 30 years worth of healthcare costs? You’re not missing anything Chris, this is a real problem. But I’m not sure why you’re saying you need to quit your job to join a healthsharing ministry. That’s not a requirement I’ve ever heard about. BTW, a claim denial is possible with any type of coverage, including regular insurance. Sometimes the denial is based on a technicality. Interesting my wife and I were having physicals at our GP this afternoon, and he recommended getting a written authorization before proceeding. Usually the provider gets that, but as I’ve found in the past, they don’t always do it. If they don’t the claim can be denied. As you probably know, the whole healthcare situation is a complete mess, and promises to get worse. It’s hard to wear rose colored glasses on this one. Sorry…. Here’s where I was coming from. Before you quit you are probably working for an employer that is offering at least some portion of your healthcare. For example my employer pays about 60% if the premium. It wouldn’t make sense to leave that on the table and go with a ministry until after you quit. And then there’s no real obligation for them to pay as it’s not a contact. For a serious injury that could quickly add up to a half a million. Could they force you to liquidate after tax funds or would you go on a payment plan? I see what you mean. No, I’m not recommending giving up an employer plan for a healthsharing ministry. I’m saying look into it of you lose coverage. I think we’re fast entering a time when it will be grabbing any piece of driftwood when and where you can. Employer paid, healthsharing ministry, part-time job. It’s going to become less certain going forward. I expect to see a lot of employers drop coverage due to cost. I’m already hearing of that with smaller employers. And as it is larger employers are moving more of the cost of coverage to employees through higher premium contributions and higher deductibles. But when Medicare finally goes into crisis mode, it’s anybody’s guess what any of us will do. It’ll mean the whole healthcare industry will be in crisis mode not just seniors. But seniors take the worst hit due to age and health. Yes it already happening. A few years ago our deductible was $1500 …now it’s $6000 per person! Ridiculous! That’s exactly why I think we’re heading for a healthcare crash. We politely tolerate those “adjustments”, like frogs in a pot of boiling water. I don’t blame the employers – they’re trying to stay in business. But the healthcare cost spiral is out of control, and it keeps getting worse. That’s a sign of a system that’s in a terminal state. In a couple of years we’ll have $10,000 deductibles as “normal”, which will look and feel a lot like having no coverage at all. Hi Kevin. I think many people approaching 65 feel that Medicare is going to be a lifesaver for them. Finally, after all these years of paying the high cost of insurance, I’ll finally have it for free. But that is not going to be the case because of the changes coming. Yes, you will have coverage for “free” at 65, but what will and won’t be paid for is a whole other story. Deductibles can rise, out-of-pocket expenses, denials, etc all can wreak havoc on what we considered is going to be free. What’s that phrase…there’s no such thing as a free lunch. I know I used to think this way, as an “older” person, but having been self-employed now for many years, I know what health insurance costs and have been having to pay it for ourselves and for our employees. It’s not pretty. I think the best advice is take outstanding care of yourself…diet, moderate exercise, no addictions (smoking, excessive alcohol, etc.) do preventive medicine, etc. It’s a huge first step and one we should be doing anyway. As for the remaining steps…it’s anyone’s guess. I’m thinking to stay working part-time at our business if we can (age creeps up on you though and ours is fairly physically-intensive) and keep a supplement plan of some sort when we do get on Medicare. What a mess and not what we had planned for. Hi Bev – I’m thinking as Medicare cuts back – which has actually been happening for years – Medicare supplements will become ever important. But as the burden shifts from Medicare to supplements, the cost of the supplements will rise steadily. Two years ago my aunt and uncle revealed they’re paying about $700 a month for Medicare and their supplement. That doesn’t sound like free to me. In fact it’s getting dangerously close to what people who aren’t on Medicare pay, at least the younger ones. Dropping your health insurance premiums from say $2,000 per couple pre-retirement, to $700 in retirement, does help, but it’s a tight squeeze for a couple on a fixed income. My guess is that in a few years, the Medicare-Medicare supplement combination will be well in excess of $1,000. And we’ll still be calling it a bargain. Though once that trust fund is exhausted, the payment will skyrocket. This is yet another compelling reason why full retirement will become a fantasy for all but the wealthy. I realize how pessimistic that sounds, but the situation really is that bad. I don’t think you sound pessimistic, Kevin, just more realistic. And that’s why so many enjoy your blog. No one wants to face the truth about what is coming down the pike. I like your comment about creative destruction because that may be the answer, but who’s to say. All any of us can do is take care of ourselves and our family as best we can with what resources we have and know that we’re not alone out there. I know a 72 y.o. couple who are still working even though they have a full pension and decent savings. They say they need to work to help supplement their health care costs and maintain their current home, which is a reasonable sized house. So, even with pensions, many people still need some additional income. I’m not surprised at the 72 y/o couple Bev. People retire at income level X then a few years the inflation monster makes that income inadequate. I think that’s why it’s gotten so common to see older people working now. When my wife worked in the credit union she used to tell me how the elderly stretched their limited resources, like withdrawing $20 a day to make sure they didn’t run out of money (or fighting over a $5 discrepancy). A lot of the elderly are living on a very tightly stretched shoestring. I think that’s why we need to have these discussions, so we can prepare to the best of our abilities. The blind faith thing isn’t working anymore. 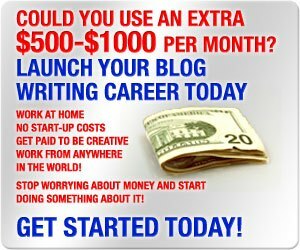 Your blog is a wonderful resource. Very down to earth. Despite your hurdles, you’ve made it work. So glad you turned to blogging, it is your gift. You also seem to have a knack for predicting future living costs. Or at least being realistic about them keeping up on the politics. We are **probably ok** until my age of 78( they fire us older workers) and he is 85 yrs old. Then we dip into the HSA acct containing between 50-60K (estimate). Retiree benefits kick in for myself only at 65-or older. To keep working 24 hrs wk is to keep him on my policies for $75 a month- life insurance $100k/$50, AD&D, Dental to 2k, Eye plan. Retiree benefits-are exactly the same for $5 a person yet include a drug plan, yet without life insurance, AD&D and accident. Our combined SS will be around $2450 a month. Delaying SS beyond FRA is not adventageus but my working until age 78 is. If a 25% SS reduction is applied, as some predict, we will have exactly zero money after paying for basic needs from my age of 78-on. Then we’ll into the 60K cash in safe but that only comes to about $360 a mo./4K yr.
Our home will be paid off within the next 6 yrs. He works 20 hrs a week, has some health problems which prevents much more physical labor. Yet nowadays, appears in better shape than most. We eat mostly organic and stay in shape. 1. Husband can manually build onto our house another room used for someone to live in and pay rent. There is a back bathroom which would be private for them, shared laundry and separate entrance with separate driveway. Add a mini kitchen into it. We are receiving a little inheritance from his Dad so could use that $$ for this project. It would add about $300 more per mo- we need, and we could start saving half of this in the safe right now. Also he is a great mechanic so to buy some cars and fix them up to sell is a possibility. Again…. I just discovered your blog, thanks so much. Hi Jana – I’m so glad you and your husband have so many ideas on how you’ll live. We all need to be thinking that way. A lot of the retirement assumptions people make (and all retirement plans are built heavily on assumptions) won’t prove to be true. Building flexibility and resilience into our lives is so important. I see that at every phase of your plan. Paying off your house, staying out of debt, bringing in a tenant, and working throughout your retirement should enable you to survive, in addition to what ever Social Security pays. The big variable is of course healthcare costs. But I have a feeling that we’re going to have a reset in the near future, that will bring medical costs back down to earth. I think that only because the current trajectory is unsustainable. But since we can’t know when or how that will play out, we’ll have to make due the best we can in the meantime. But I think you and your husband are on the right path. Thanks for your response and wisdom. Hopefully you are correct about healthcare costs going down, it certainly doesn’t seem sustainable at all.